Outdoor seating at Sam's Social Club. Photo courtesy of Sam's Social Club. It wouldn't be a proper spring break without indulging in one glass too many. 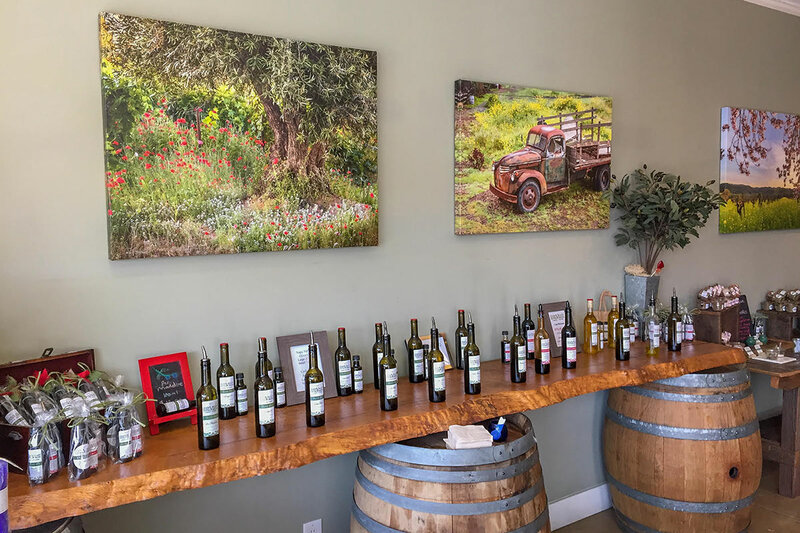 Writer Elizabeth Johnson shows us how to enjoy Napa Valley after a day sampling the local wares. 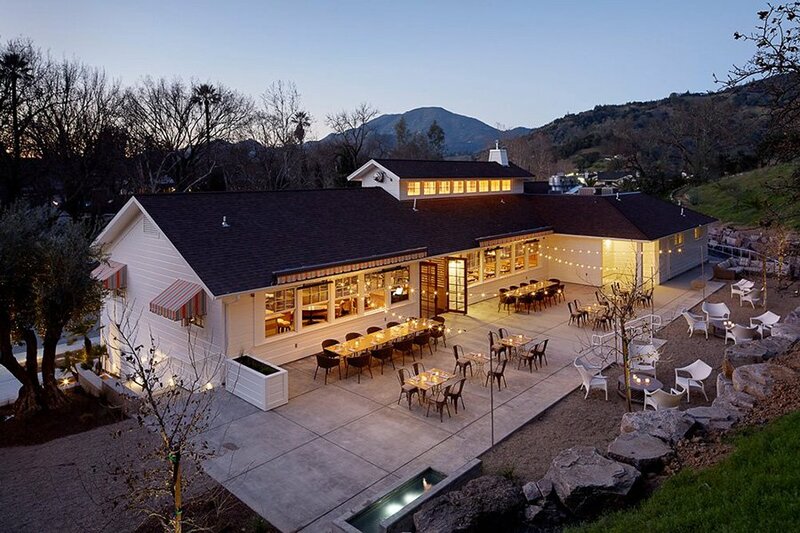 CALISTOGA, California – Consciousness moved in slowly. My mouth was drier than the Sahara Desert. My head throbbed. Five minutes: That was all it would take. In five minutes, I would be dead. The night (and afternoon and morning) before was a swirl. One wine tasting, followed by another. And another. And another. I had walked through the finest vineyards in Napa and Sonoma counties sipping pinot noir. The day was beautiful, and the alcohol bountiful. But now, hungover and dehydrated, it felt like the end. It turns out, there's still plenty to do in California's wine country once you get to the bottom of the last glass. After popping some Advil and chugging a liter of water, I spent the day sober (gasp!). And it was even better than the booze-fueled days before had been. Step One: Get out of bed. I slipped on a pair of sunglasses and blearily scrolled through internet pages on my iPhone — the screen was brighter than the sun. I settled on . Ancient people believed bathing in the water would rejuvenate the spirit, mind, and body. They were onto something. The spa has four geothermal mineral pools ranging from 80 to 104 degrees. I channeled my inner beached whale for an hour, then headed inside to the spa. Masseuses shuttled me from a volcanic ash mud bath to a steam room. Dripping in sweat, I began to feel human again. Cue the Beauty and the Beast song of the same name. Actually don't — my head still throbs. Fresh olive oils and balsamic vinegars from local vineyards. Photo courtesy of Napa Valley Extra Virgin. Few foods are better for a sensitive stomach than bread. (Okay, I'm not a doctor. But it feels true.) I spent the next few hours at sampling fresh olive oils and balsamic vinegars. News alert: I didn't puke once. After downing a dozen glasses of wine the day before, that is an accomplishment. 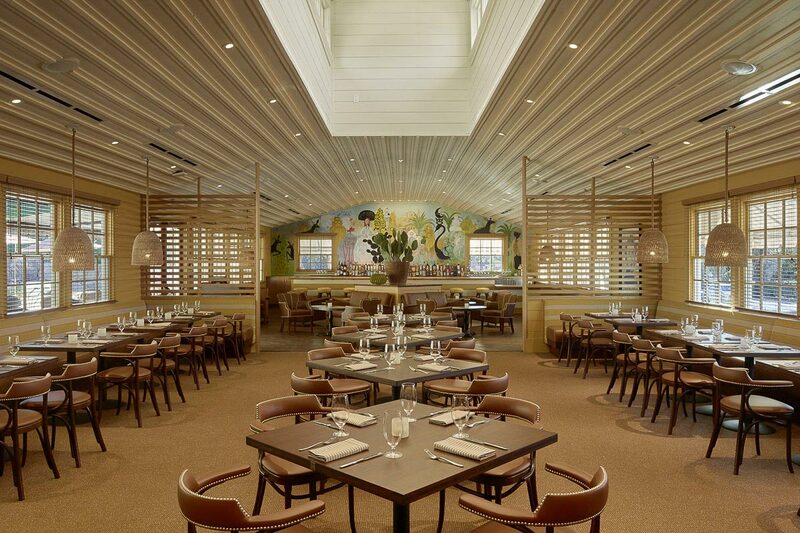 The shop, located on Lincoln Avenue, sources olives from local estates. Let me tell you, the oils might even be better than their Italian cousins. The knock-out flavors include blackberry balsamic vinegar and olive oil infused with red pepper flakes and garlic. I dare you to leave the shop without a bottle under your arm. 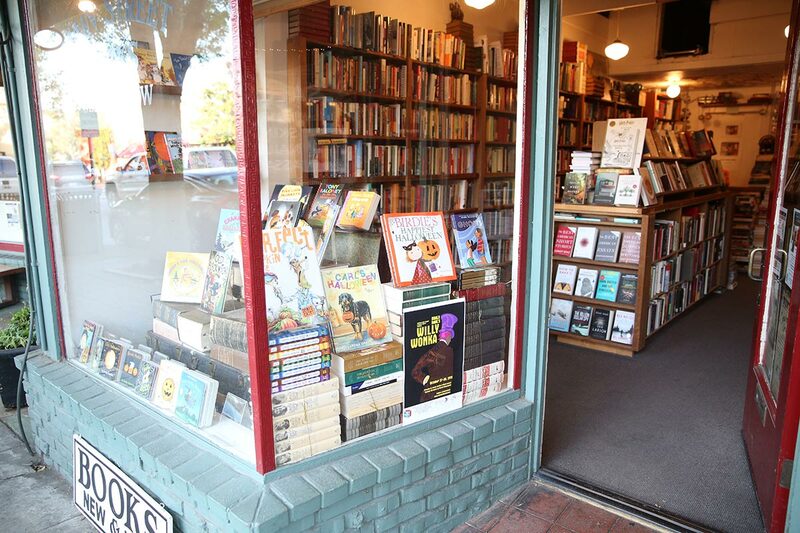 Napa Valley's northernmost literary shop. Photo by Elizabeth Johnson. After filling up, I strolled down the street to , an independent bookstore filled with bestsellers, culinary books, and wine guides. The Calistoga shop is the northernmost literary shop in the Napa Valley. Unfortunately, the music lulled me right into a deep slumber. I fell asleep on one of the couches spooning a book about cooking rotisserie chicken. I woke up an hour later to my boyfriend poking me, a cup of coffee from the cafe in hand. The day had faded into night, and the last remnants of an angry hangover were almost gone. The indoor dining room at Sam's Social Club. Photo courtesy of Sam's Social Club. I was ready to pick up alcohol again. is the place to rebound. I ordered a glass of red wine and stole a few sips from my boyfriend's El Jimador tequila. But that was enough. The best way to enjoy wine country is not to overdue it. The low-key restaurant featured a patio strung with twinkle lights and h couches lined around a fire pit. Menu items included local oysters from Hog Island, roasted bone marrow, and fresh market ceviche. The grilled octopus was also tender and flavorful. I ate slowly, savoring the spices and seafood. Slowly, I started to doze off again. After a full day of relaxation, I was almost ready for my next scheduled tasting in the morning — sans hangover. Visions of vineyards danced in my head.